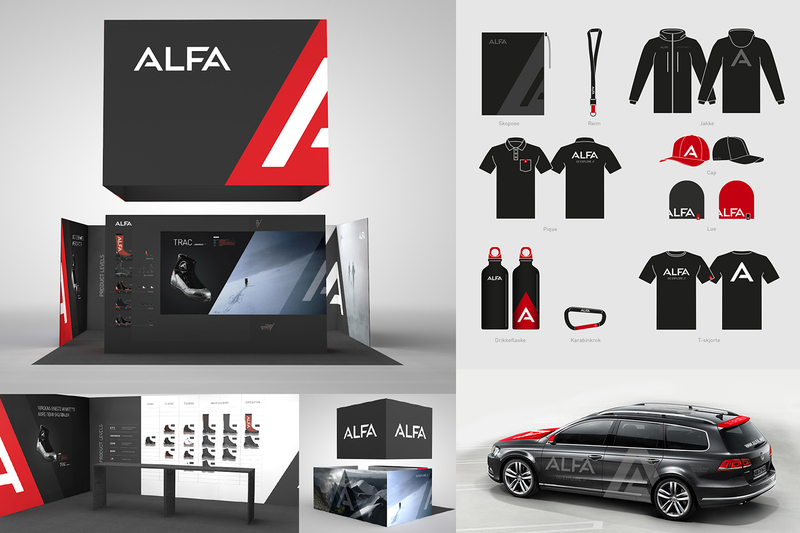 Two years in the making, the new strategy, identity, products and webshop for Alfa are finally here! 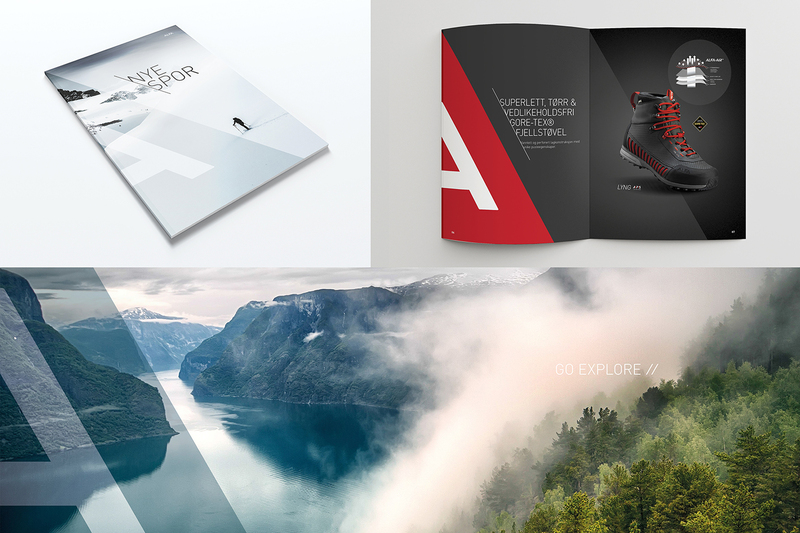 We are not to blame for the great product design, but we have been lucky enough to work a couple of thousand hours with one of the best Norwegian outdoor brands for the offline and online environments that surround their products. 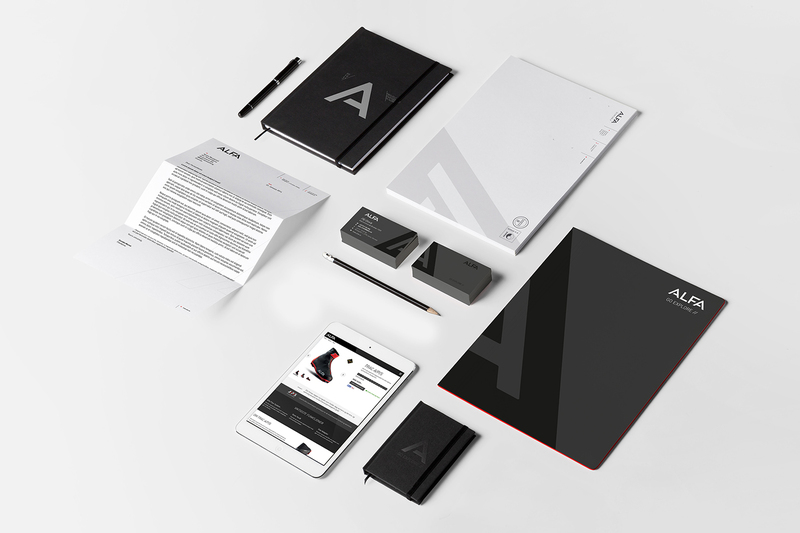 After thorough brand strategy and visual identity work, we went through a really interesting and rewarding web development process. The plan was originally to base the site on a Magento/Wordpress combo. 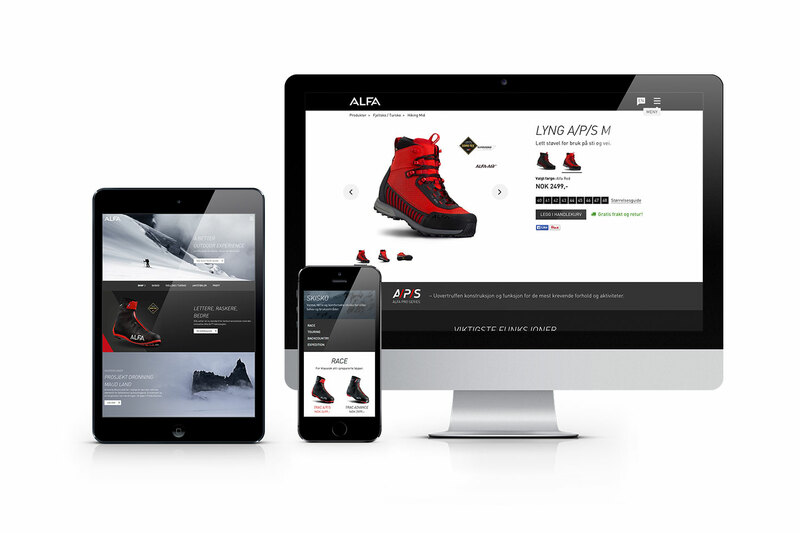 But before we got to the development phase, we had fallen in love with the Craft CMS platform for content management. After careful analysis and consideration with Alfa, we changed course and went with a Craft/FoxyCart/Stripe combo with a custom integration to Alfas internal ERP system. The user experience and flow in the shop is so simple all the way through the checkout, taking the conversions through the roof! Try it here. The results are mind blowing! Our goal was to double the webshop revenue within 2 years. And after 4 months live, without even announcing the new site and products (a soft launch), we had already passed the total revenue for 2013! The math: That's 3 times the revenue right off the bat! 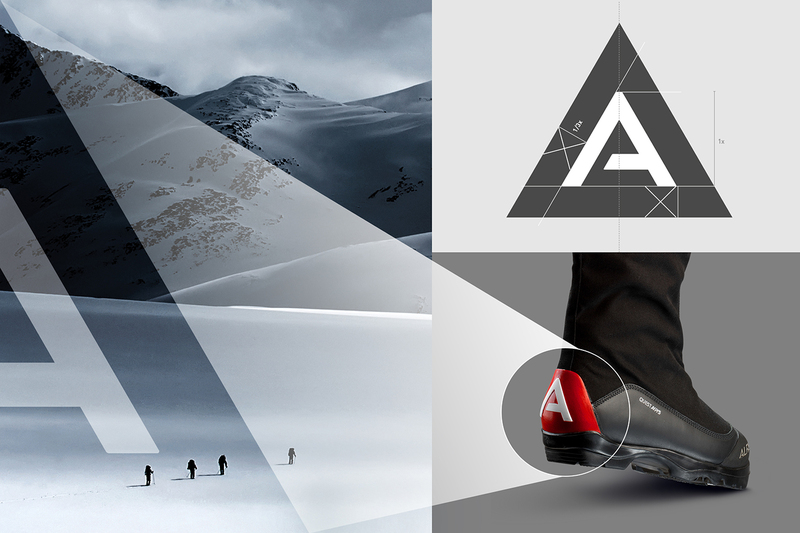 We couldn't be more excited, and Alfas investment seems to be in a hurry to pay for itself. 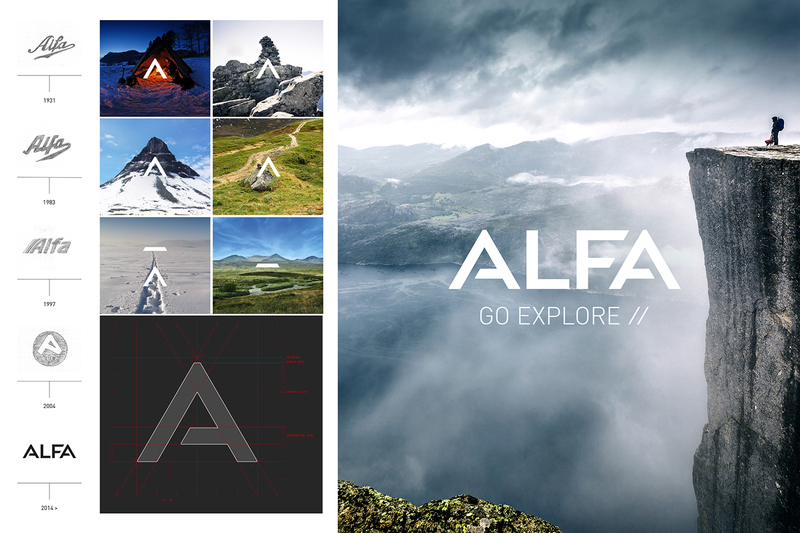 We keep a steady relationship with Alfa, working continuously with marketing material and web improvements.